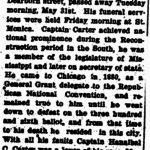 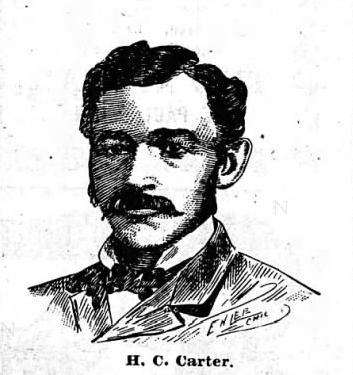 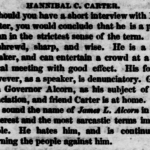 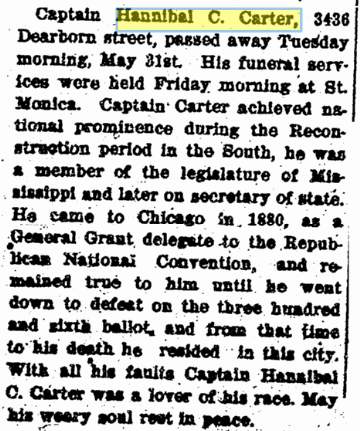 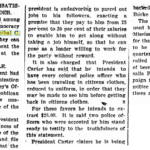 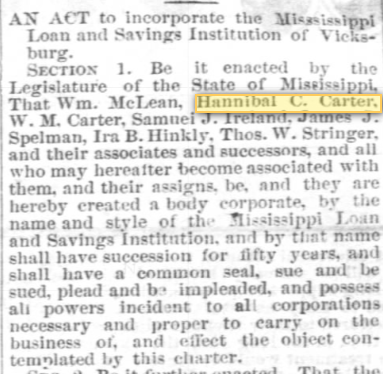 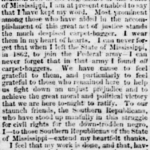 After serving in Mississippi politics in the 1870s, Carter moved to the midwest about 1881 for more safety and opportunity. 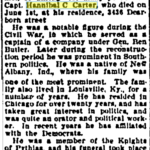 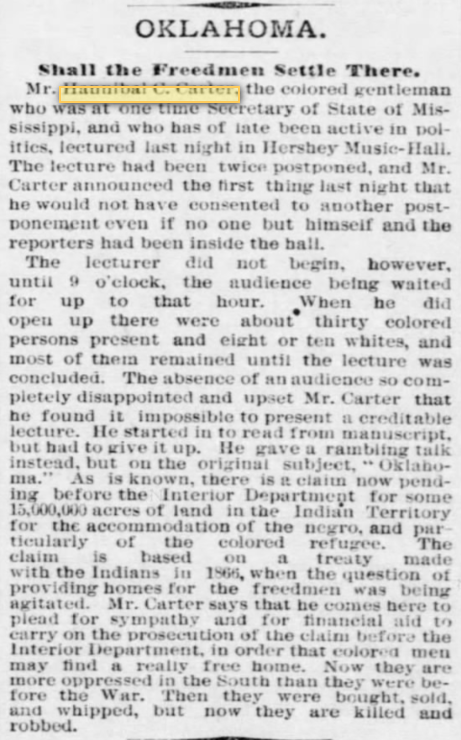 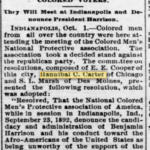 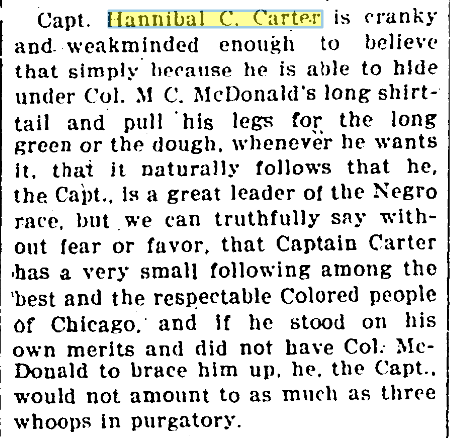 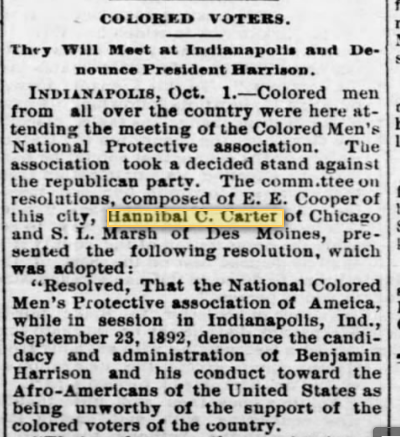 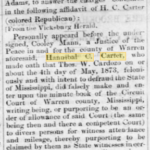 “Two prominent New Albany African Americans deserve special attention for their contribution to the Civil War effort: Hannibal Carter and his brother Edward. 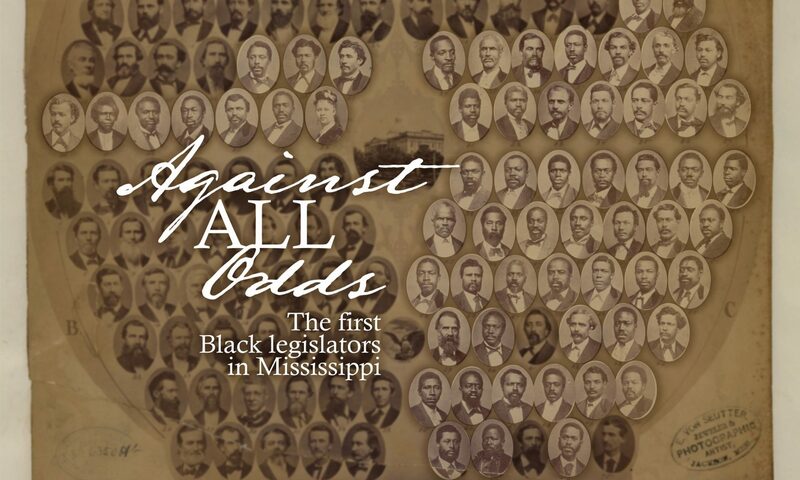 Despite restrictions placed on African Americans, these men had a certain amount of mobility and were able to cross state lines. 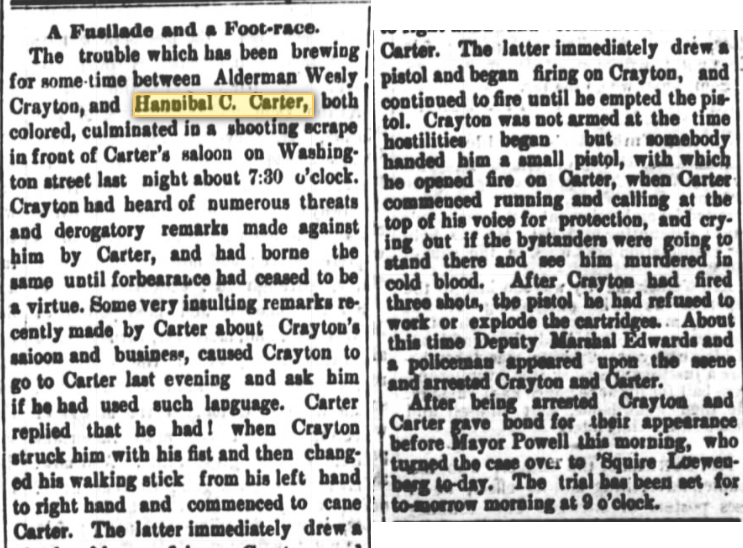 They were among some of the first blacks in the United States to muster into service during the Civil War. 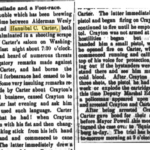 The two Carter brothers became a part of the Louisiana Native Guards formed in New Orleans initially to protect interests of native New Orleans citizens. 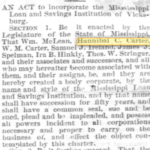 Although the exact date is unclear, some time in the spring of 1861, George Washington Carter and sons Hannibal and Edward took the steamer Vicksburgh, which ran on the lower Mississippi, down to New Orleans. 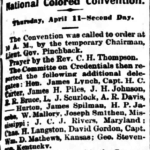 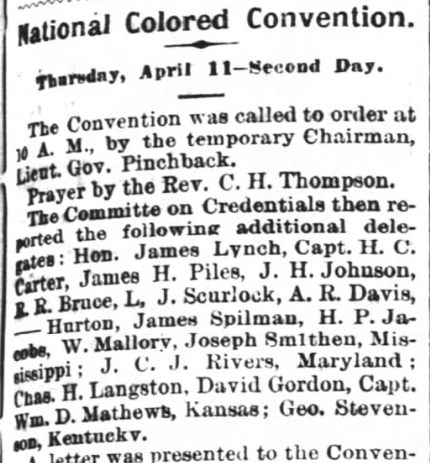 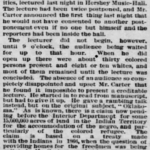 According to the New Albany Ledger, they were there on April 12, 1861, when Fort Sumter fell and the Civil War began. 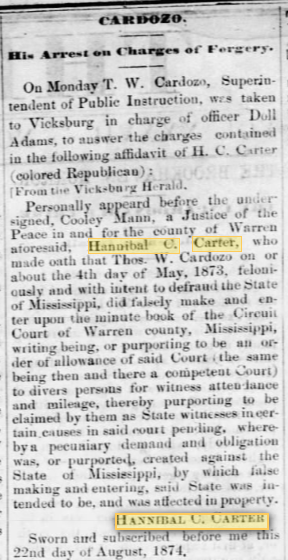 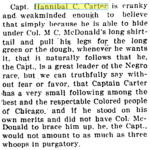 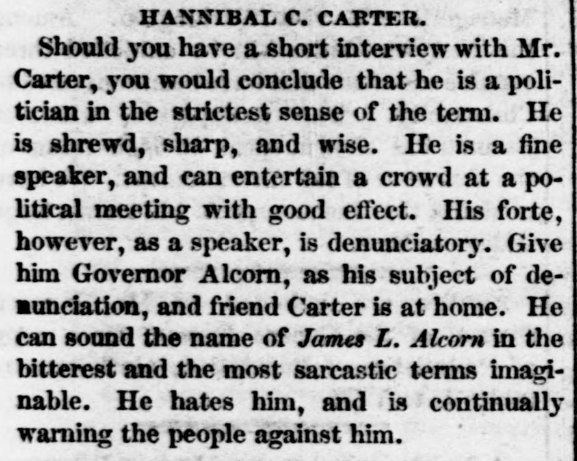 The Appeal, which published a biography of Hannibal in 1891, also reported that the men were ‘on the Mississippi Steamer, ‘Vicksburgh,’ when the war broke out.’ Their presence in New Orleans at the start of the war is also confirmed by the fact that the names of Hannibal and Edward Carter appear on the roster of the Louisiana Native Guards in 1861. 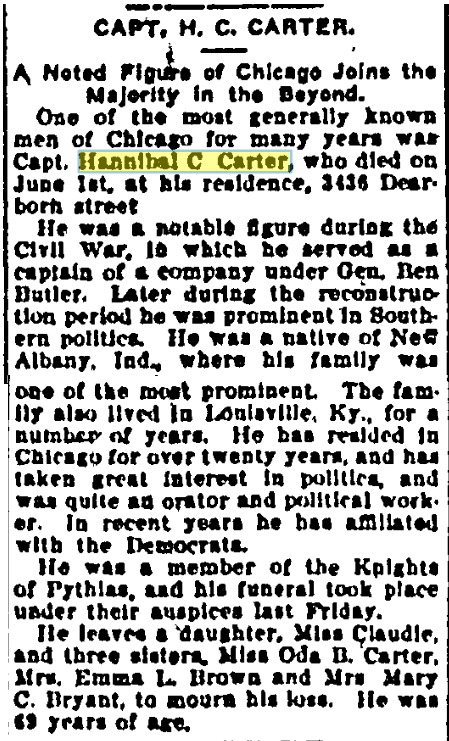 Edward was a captain in the First Regiment of Louisiana Native Guards, and Hannibal was a captain in the Second Regiment of Louisiana Native Guards.